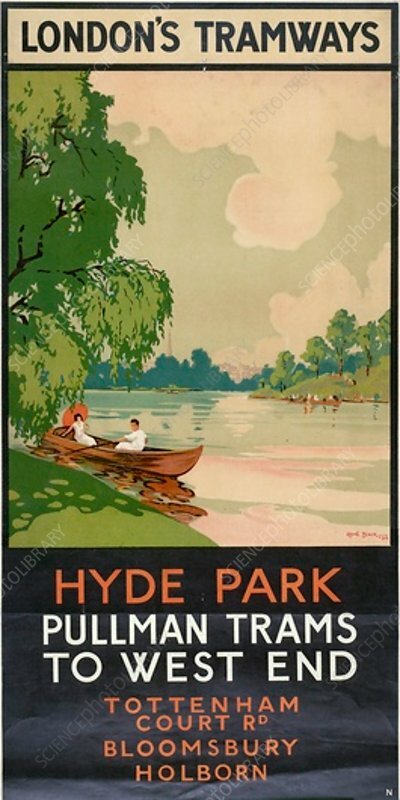 Hyde Park, Pullman Trams to West End', London County Council (LCC) Tramways poster, 1930. Showing a man and a woman in a rowing boat on the water in Hyde Park. The woman is holding a parasol.